Celebrate Authentic Oktoberfest at Sofitel Manila! Oktoberfest has been part of the Philippine scene since we are after all the third largest drinker in the world. Bavaria would have been proud to see beer always chugging off bars, establishments and places in Manila and what better way to make that experience authentic by having REAL Oktoberfest at Sofitel Manila. The German Club Manila established in 1906, the German Embassy and Sofitel Manila will head the merry making and even bring the actual authentic Bavarian band to make it even more festive this 76th Oktoberfest! So we did the next best thing by suiting up with real deal Bavarian hats and held our one liter German Beer Mugs, then after that... we just had to warm up with an Oktoberfest requirement... a dance! 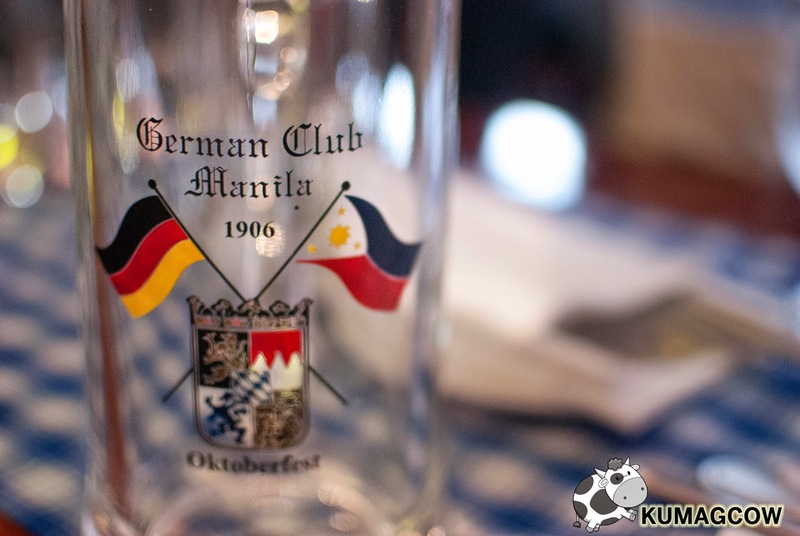 The German Club and Sofitel Manila did even more to have us get a taste of the festivities. They told us how much food and booze is going to be served on October 17 and 18. Almost 2000+ people attend each day and they have broken each of those records every year. There's nothing that can match Oktoberfest in Sofitel Manila because you just can't find anything as authentic as this anywhere else in the country! Then we got on to the feast fit for a King! So if you're not convinced that the ton of sausages, meat, potatoes, sauerkraut, mustard and beer could not get you interested in celebrating at Sofitel Manila this October 17 and 18, you must be crazy. Go give them a call and reserve at 5515555. Go with your friends and make this celebration a memorable one by doing it the right way, like the Germans do!